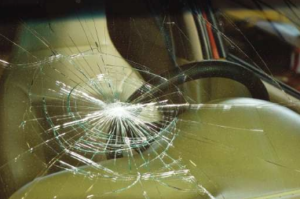 Call the local full-service experts for repairing or replacing vehicle glass and windshields. Cal State Auto & Truck Glass has been taking care of San Luis Obispo vehicle owners for over 30 years. With more than 70 years of combined experience, we are a family operated shop that takes great pride in our San Luis Obispo windshield repair and replacement services. We get the job done fast and leave your vehicle spotless, as if nothing had ever happened. Our repair and replacement services are not just limited to glass and windows. If your power windows are failing, we can replace the motors and regulators. Our trucks arrive fully equipped for you job. Our customers are our neighbors and supporting our community with the best service possible is a matter of professional pride. We show up within the scheduled time frame, use high quality OE equivalent parts, and our auto glass technicians are DOW, ICar and AGRSS certified. Find out more about our services from our customer recommendations and Frequently Asked Questions. We are open Mon-Fri from 8 a.m.-5 p.m. and Sat from 10 a.m.-2 p.m. Contact us to schedule your appointment today. The city of San Luis Obispo is the county seat of San Luis Obispo County. The city has an estimated 2018 population of 41,119. San Luis Obispo, named “SLO” by locals is the home of California Polytechnic State University and Cuesta College. Designated one of the happiest cities in the United States, by Oprah Winfrey and “National Geographic,” SLO is a center of year around cultural activity and events for both locals and visitors and a popular destination for dining and shopping. The temperate climate supports a vibrant outdoor lifestyle that fills the beaches, campgrounds, hiking trails and outdoor concerts. Summers have daytime high temperatures in the low 80s with cool evenings. Winters see an average 19 inches of rain and daytime temperatures in the 60s and 70s. Frost is rare and any snowfall makes all of the local news! The GPS coordinates for San Luis Obispo are 35.2828° N, 120.6596° W.